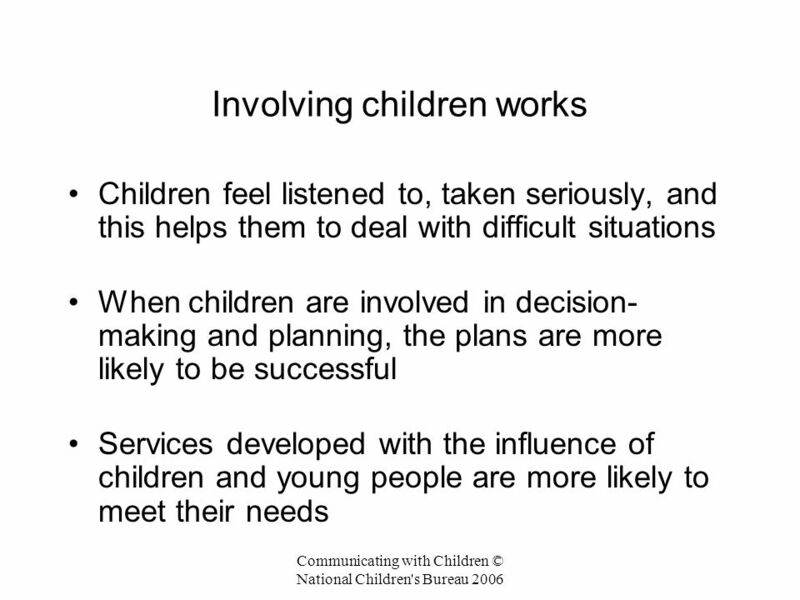 3 Who says we have to involve children? 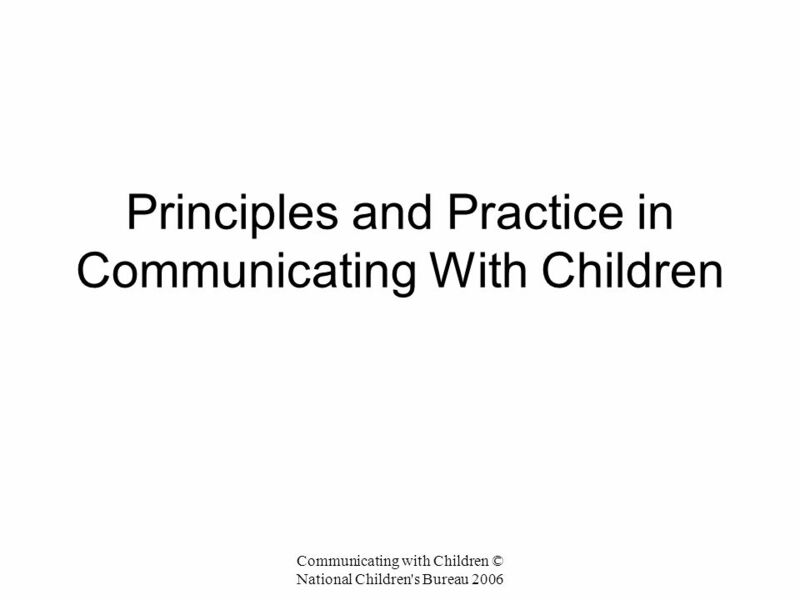 Download ppt "Principles and Practice in Communicating With Children"
Putting corporate parenting into practice project Di Hart & Alison Williams. 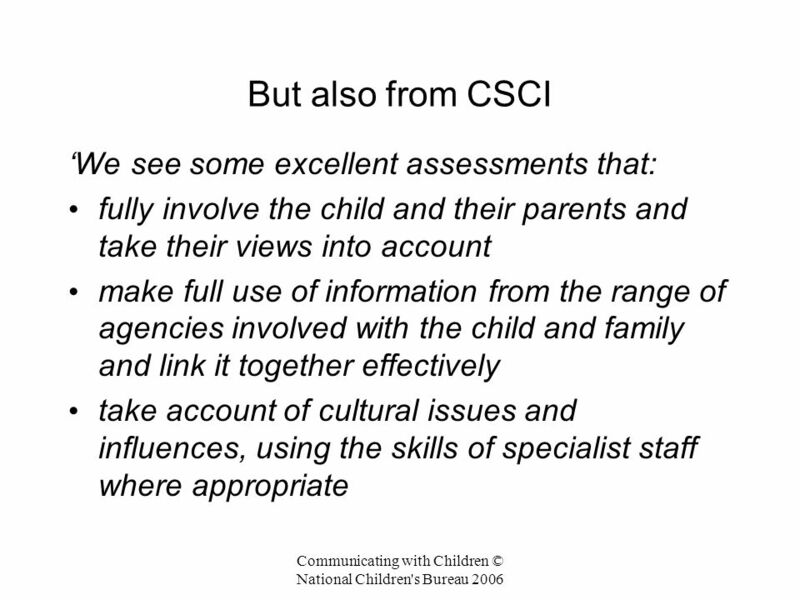 Change for Children in Gloucestershire Children and Families Service 28 th April 2005. 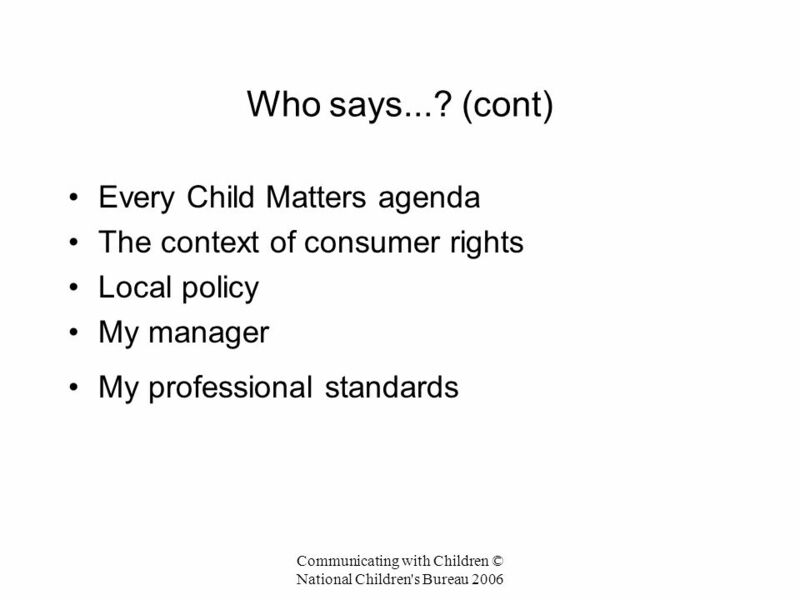 Inspecting YOTs: policy context and young people’s views about services Ben Clark, HMI Probation October 2006. 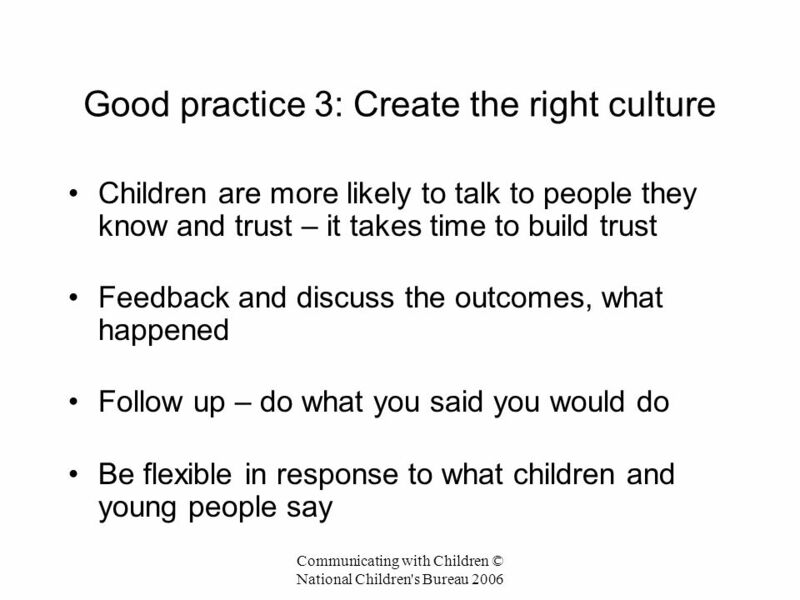 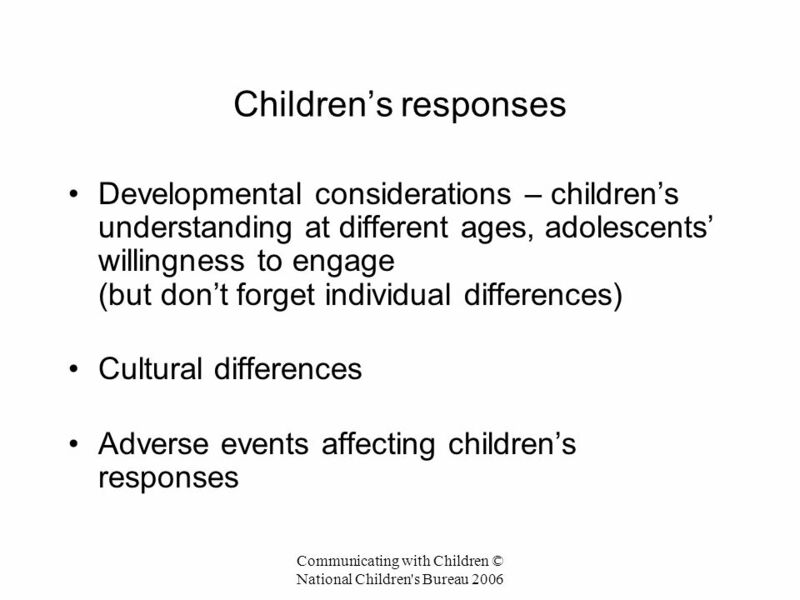 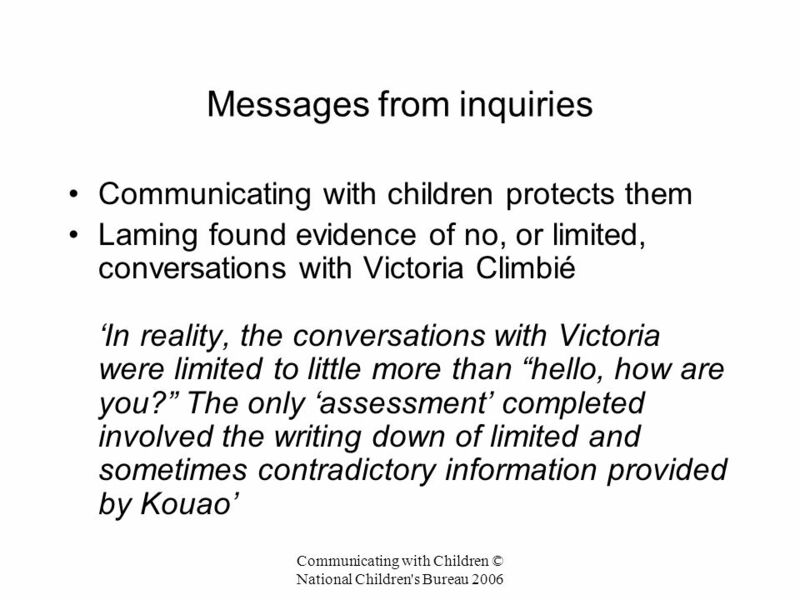 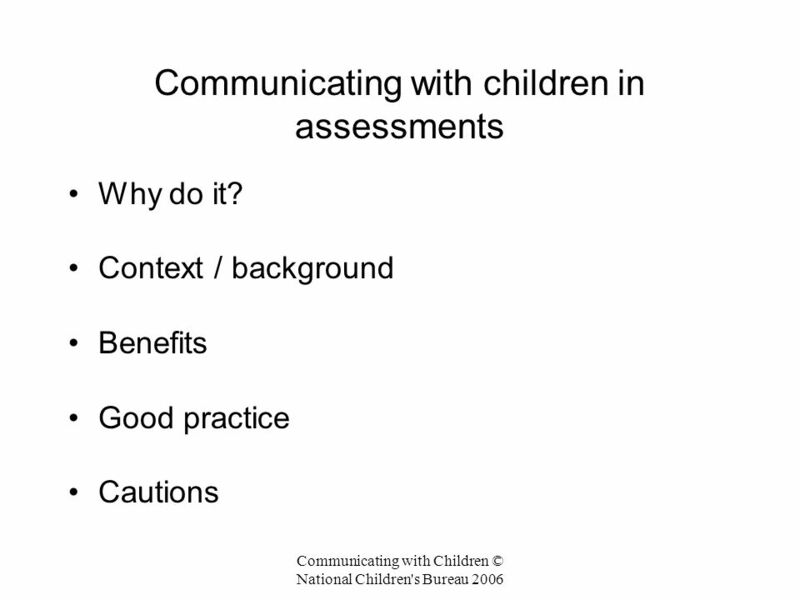 Communicating Effectively with Children and Young People. 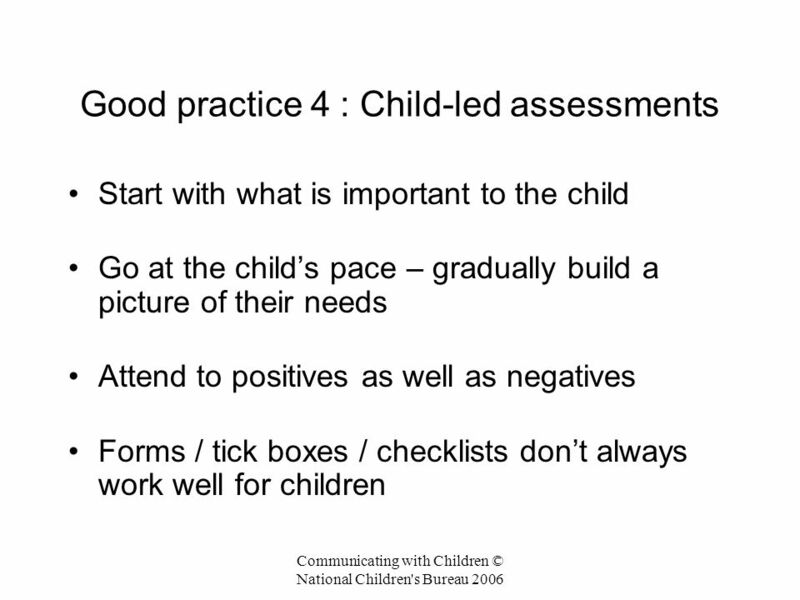 The CAF is a four-step process whereby practitioners can identify a child's or young person's needs early, assess those needs holistically, deliver coordinated. 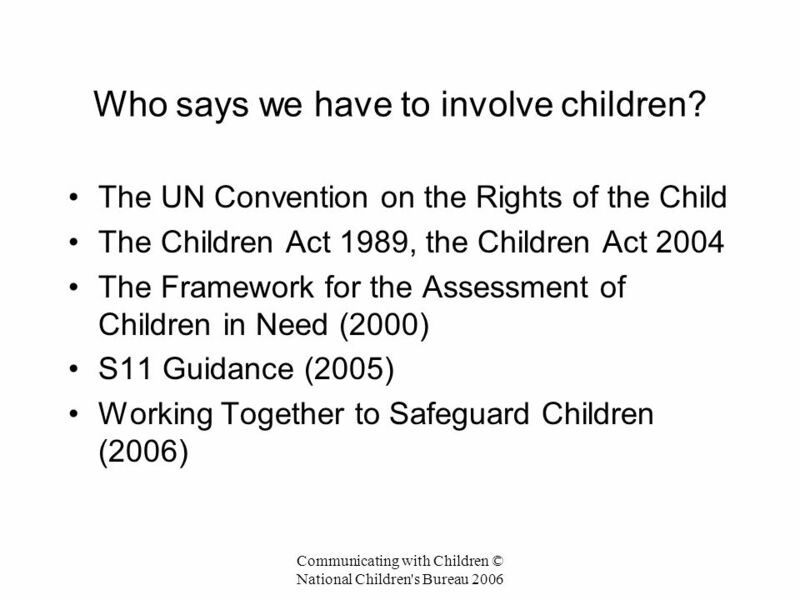 The Children Act 1989/2004. 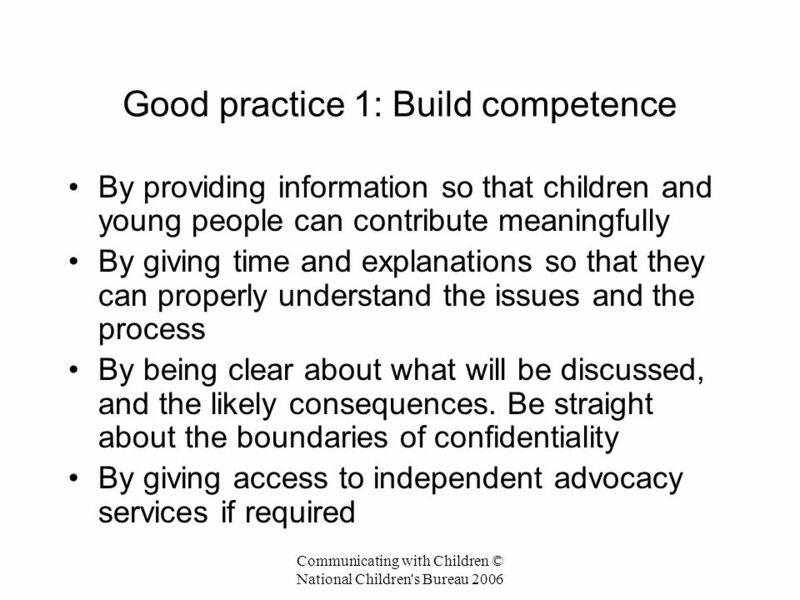  To discuss the background to the Children Act  To identify the key principles of the Children Act 1989  To discuss. 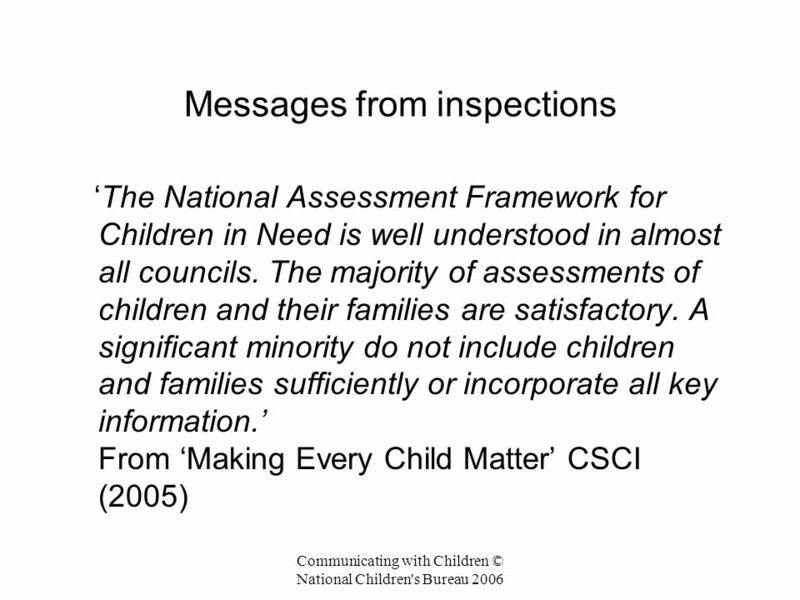 PSHE education and the SEF The contribution of PSHE education to the school inspection process. 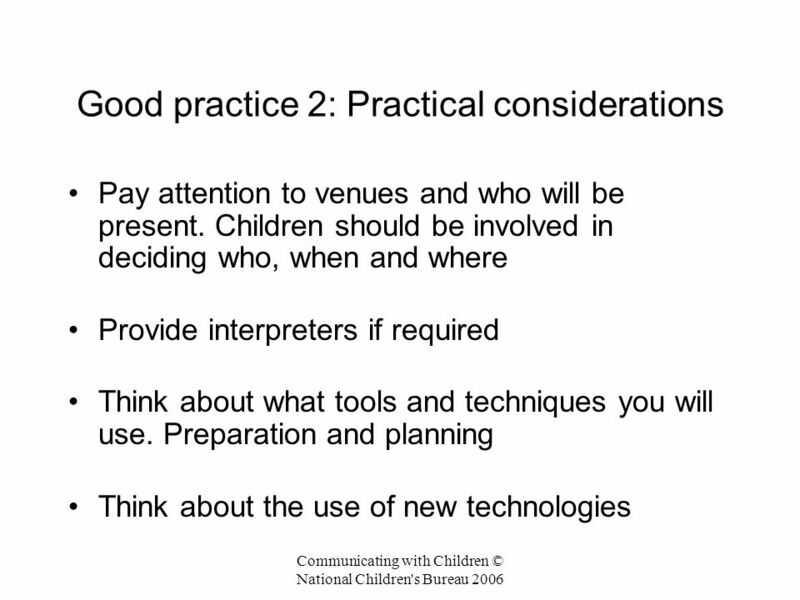 Copyright Eileen Pittaway and Linda Bartolomei, UNSW Centre for Refugee Research Session 2 What is Community Consultation? 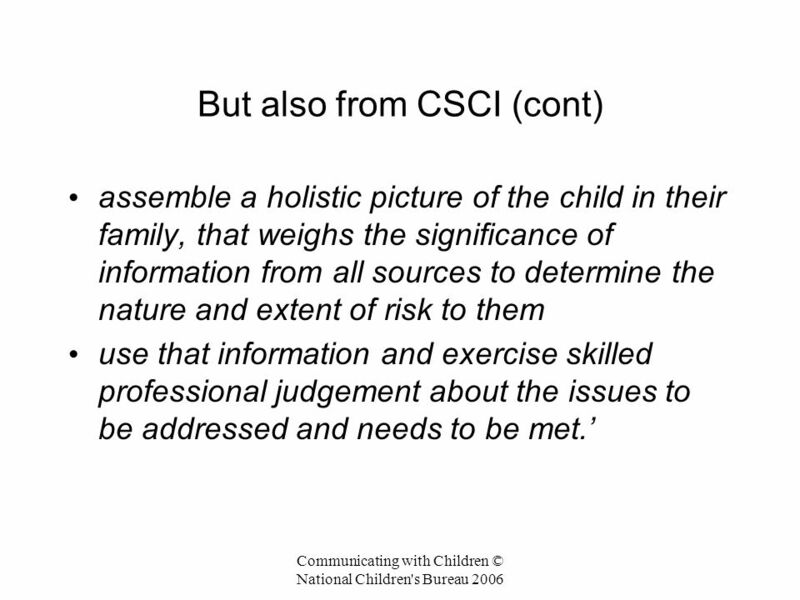 Intervention and Review Further Child neglect and supervision P30 1. 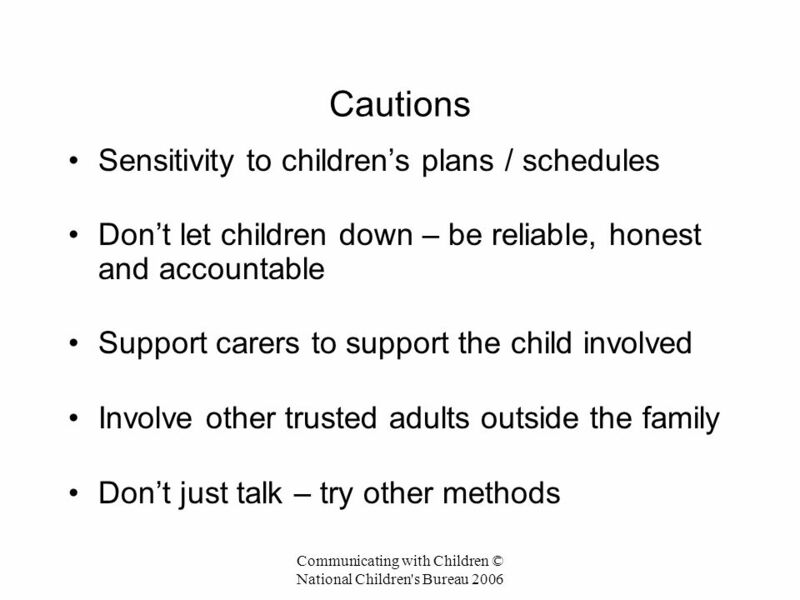 This Is The Title Slide Learning from a whole family approach for parents with a mental illness and their children InterAct #GYCConference16 #awaretheycare.